"We are excited to bring major championship golf back to Congressional and to represent our country and the nation's capital as host of the 2036 Ryder Cup," the club president said. The PGA of America is bringing its biggest championships to Congressional over the next two decades. Nearly three months after the PGA Tour ended another run outside golf-rich Washington, the PGA of America announced an agreement for the club to host the Women’s PGA Championship twice, the Senior PGA Championship twice, the PGA Championship (2031) and the Ryder Cup (2036). Congressional also will host the Junior PGA Championship and the Professional National Championship, along with an annual event designed to introduce golf to veterans. “We are excited to bring major championship golf back to Congressional and to represent our country and the nation’s capital as host of the 2036 Ryder Cup,” said Bev Lane, the club president. 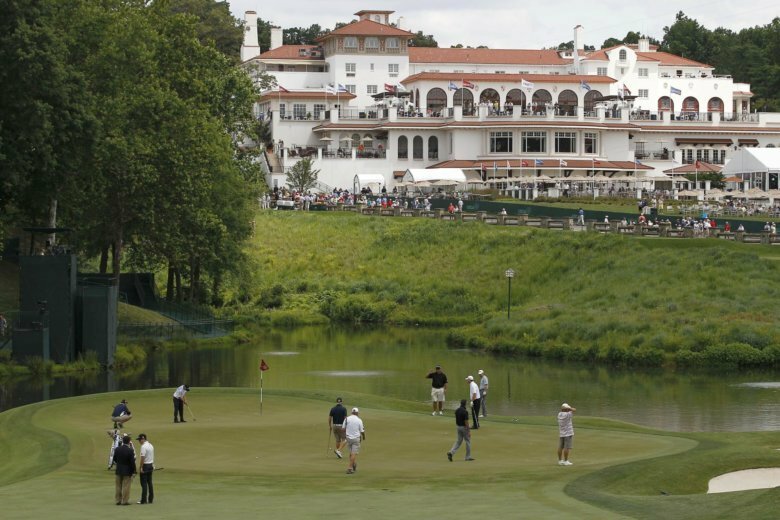 Congressional, across the Potomac River in Bethesda, Maryland, previously hosted the 1976 PGA Championship won by Dave Stockton, whose 1-over 281 remains the last time no one broke par at the PGA Championship. The club received greater notice when it hosted the 1964 U.S. Open, which Ken Venturi won while battling severe heat and dehydration. Ernie Els won his second U.S. Open title in 1997, and Rory McIlroy set the U.S. Open scoring record at 16-under 268 on a rain-softened course in 2011. The Ryder Cup has become the biggest draw, though fans will have to wait 18 more years. McIlroy will be 47 and might be an obvious choice for European captain. Unique about this deal is that Congressional gets all the PGA of America has to offer. It starts in 2022 with the Women’s PGA Championship. The Junior PGA Championship (boys and girls) will be held in 2024, with the Senior PGA in 2025, the Women’s PGA returning in 2027, the Professional National Championship in 2029 and then the PGA Championship in 2031. The other Senior PGA will be in 2033. It at least keeps golf in Washington, though not every year. The PGA Tour first came to Congressional in 1980 with the now-defunct Kemper Open, and it stayed there for seven years until moving around the corner to the TPC Avenel, which was not received well by the players and the quality of the field soon deteriorated. Tiger Woods brought golf back to Congressional with his AT&T National in 2008, built around a military theme, and it was played there seven times, most recently in 2016 when Navy veteran Billy Hurley III won. Quicken Loans did not renew with the Tiger Woods Foundation, taking on a new tournament in Detroit next year, leaving Washington without top-level golf again. Congressional last year began hosting “PGA HOPE,” which stands for Helping Our Patriots Everywhere. It is offered at no cost to military veterans. Congressional will continue to host the program each year under the partnership.